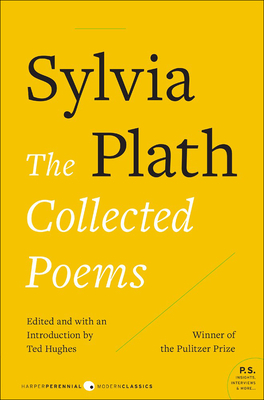 When considering the theme, "Desiring Motherhood," I immediately thought of two mother writers who documented their uncertainty about such a desire: Sylvia Plath, in The Collected Poems, and Rachel Cusk in her frank memoir, A Life's Work: On Becoming a Mother, both of which I happened upon in my tiny town's library while I was living in rural England and pregnant with my first daughter. Although it might seem grim to select prose depicting devastation within motherhood, in truth I found their accounts fascinating and refreshing in their honesty. By reading about their mixed feelings, I was able to name my own. Read on to see more of our choices for this traditional October theme. 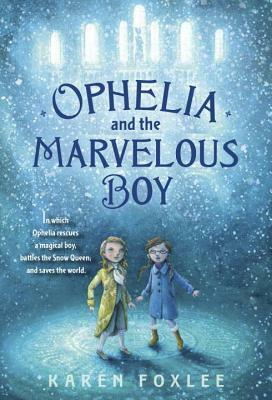 Profiles Editor Rachel Epp Buller writes, "I just sped through Karen Foxlee's great YA novel, Ophelia and the Marvelous Boy. Ophelia and her sister accompany their father on his work at a strange museum, where Ophelia discovers a boy locked away and an improbable tale about a Snow Queen who seeks to rule the world. While it seems to be almost a rule that the protagonists of great novels for children and youth must be either orphaned or doomed to life without their mothers, Ophelia's recently deceased mother appears throughout the book as her inner voice, urging her to do the right thing, help the powerless, and, ultimately, save the world." 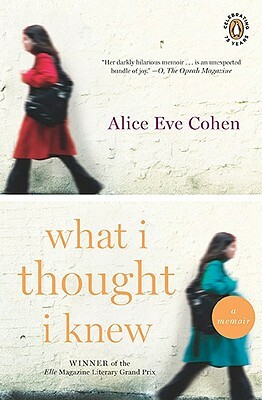 Literary Reflections Editor Andrea Lani shares, "The most compelling motherhood memoir I've ever read is What I Thought I Knew by Alice Eve Cohen. Cohen doesn't desire motherhood; on the contrary, due to medical conditions caused by having been exposed to diethylstilbestrol (DES) in the womb, she had been told she was unable to have children and had adopted a daughter several years before she began experiencing symptoms of exhaustion and a growing lump in her abdomen. When the truth is revealed, Cohen wants nothing to do with the baby growing inside of her. Cohen's story gallops with an urgency that grabbed me by the throat and didn't let go as one calamity after another befalls her. 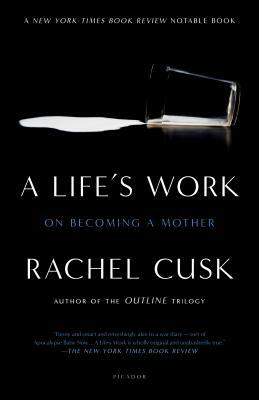 What I Thought I Knew is a deeply personal story of ambivalent motherhood while, at the same time, it is a story of the brokenness of our medical system, from the catastrophic use of DES in pregnant women to the failure of Cohen's doctors to diagnose her pregnancy to the refusal of her insurance company to treat her pregnancy as high-risk, despite her advanced maternal age, medical history, and lack of early prenatal care." Scala notes, "Amid all the busyness and domestic absurdity, Mary Rose frets about pain in her arm, a reminder of a childhood illness, but perhaps of something more violent from her upbringing. Her parents, Dolly and Duncan, figure largely in the story, and through shifts in time and place, we learn early on that Dolly wasn't 'good at having babies,' having lost several children, either by miscarriage, stillbirth, or crib death. Dolly experienced intense periods of postpartum depression that resulted in prolonged hospital stays away from her family. At the opening of the novel, Dolly is fully accepting of Mary Rose's lifestyle, but this was not always so. When Mary Rose came out to her parents in her twenties, her mother said she'd prefer her to have cancer, to have been born dead. To me, this scene encapsulates both the complexity of human relationships as well as the desire to mother or not." 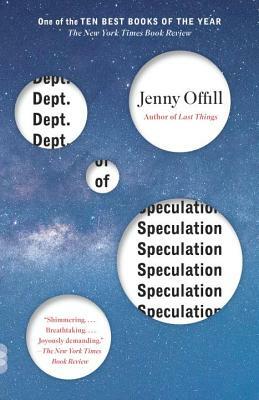 Creative Nonfiction Editor Dawn Haines suggests: "Jenny Offill's second novel Dept. of Speculation garnered stellar reviews from such journals as The New York Times Book Review, The New Yorker, Vanity Fair and The Boston Globe. At a summer writers' conference, I asked folks, 'What was the best book you read this year?' and resoundingly, Offill's book was the answer. Now reading it a second time, I find myself marveling at Offill's poetic tendencies and the smart way she builds this story of love, marriage, parenthood, and the dissolution of it all. Offill has written a lyric fiction. The prose is sparse, delivered in short paragraph chunks separated by white space. Chapters are numbered, not titled, but each one has a focus and arc which all together lead you through the book's arc. The fragmented sections shimmer independently and taken together, add up to each chapter's message. I've always likened the lyric essay to the painting method of George Seurat: pointillism. Up close, you see the dots, the fine strokes. From a distance, they all merge to make the whole. Haines continues, "Offill's dots include fast love, marriage, joy at the ordinary because her two main characters are doing their lives together, then baby. A good portion of the book involves the arc of our narrator's motherhood: excitement, bursts of incredulity and joy, as well as the stage of comprehension any new mother eventually reaches, that of boredom, gender role inequities, resentment. And finally, comprehension when she accepts the fact that her husband has been having an affair. 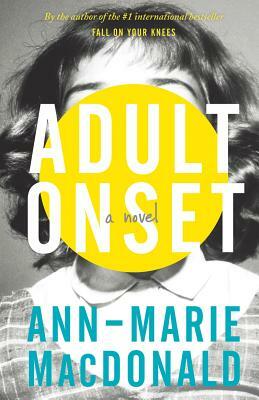 The joy for readers here is not taking this all-too known and even expected route with these characters; it's the form and structure Offill creates, which layers plot, characterization, and 'found material'―such as philosopher's quotes, letters, and literary quotes―to move the reader into a vertical experience as well as horizontal. It deepens the emotional, psychological punch of these characters' lives. It makes the journey all the more real because of the narrator's voice and because of all the layered archival pieces that speak indelible truths." Keep up with our selections at the Literary Mama Goodreads page.